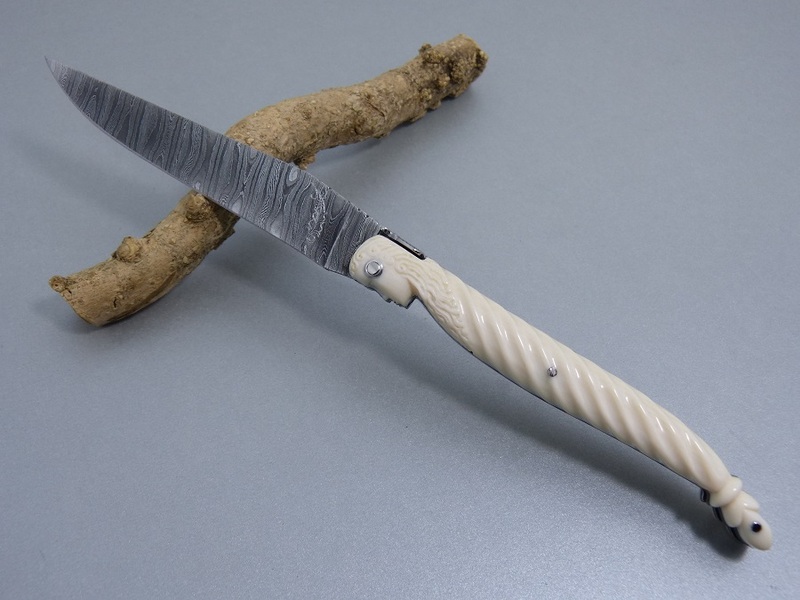 Folding knife Laguiole 12 cm in length of handle and 11 cm in length of blade with Ivory of hippopotamus of top quality. The spring is massive and forged, engraved of ornemental flowers and a laguiole bee finely worked. The bee is very finely worked and is an integral part of the spring.